So it was supposed to snow all day yesterday and some of today. They called for 6-10". Ha only 2.5" So I planned on spending the two days making videos and crafting. Well I got one video done. 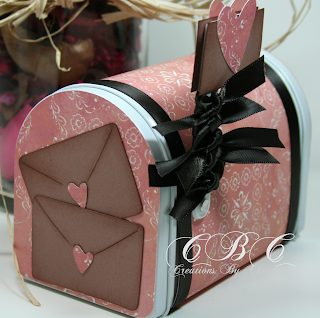 I so much love making these mailboxes. I'm going to fill them with Valentine goodies for my nieces. How fun!! Thanks for making this video. I had a request to make this one, too, and now I can just send them over here. those are soooo cute! I hope my Target has them. They will be perfect Valentines gifts for my granddaughters! Thanks for the video!